Saxe-Old-Gotha. Duke Johann Casimir 2 Taler 1626-WA MS63 NGC, Saalfeld mint, KM99, Dav-413 (LS), Schnee-195. Obv. Duke Johann Casimir on horseback right, with castle below. Rev. Helmeted arms. Iridescent surfaces, with minor soft strike in a few areas, but the overall strike is above average for the type. No egregious imperfections are noted and the overall appearance is exceptional. 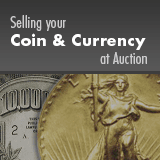 Very scarce in this condition and the only piece certified by NGC and PCGS combined.